NONE BETTER!!! 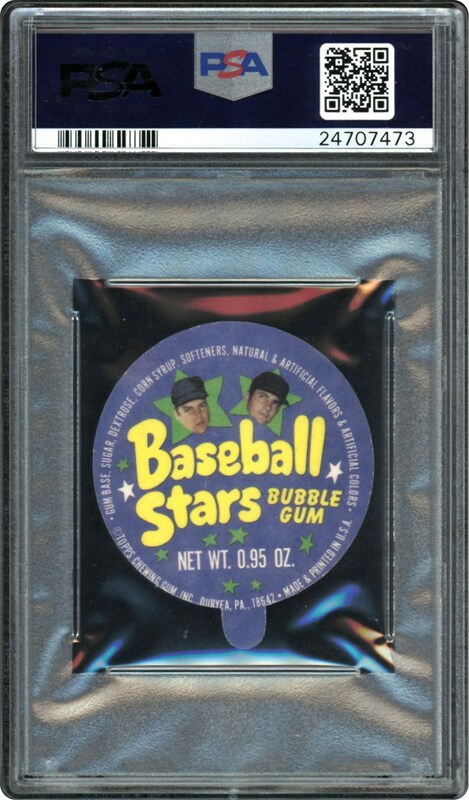 Between the production of its regular-issue candy lid sets of 1970 and 1973, Topps was working on another issue that survives today in proof form, either as uncropped squares or cut to the 1-7/8" diameter tabbed lid form meant to cover a small plastic bucket of bubblegum pellets. The format of these 1972 Lids are very close to the 1973 version. 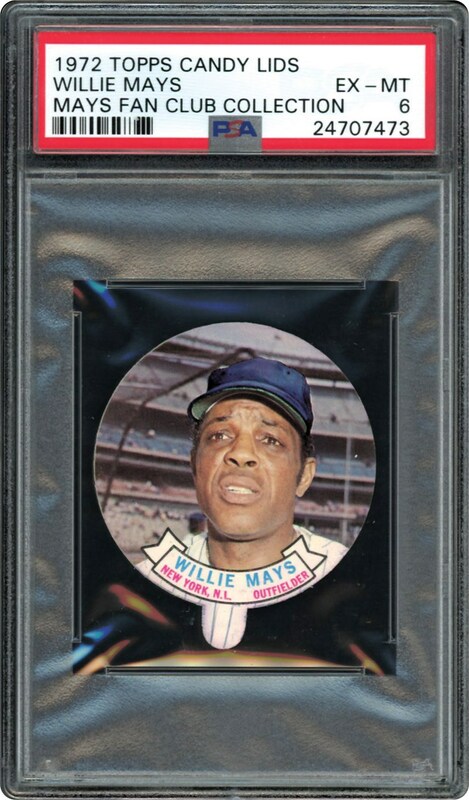 A total of 55 players were issued in the set and this Willie Mays Lid is 1 of 7 ever even getting graded, in a POP 1 PSA 6 EX-MT holder. None better than this one!! !